I DID NOT use the link with the video. The article is nauseating enough by itself. And here I thought moo-shell got suspicious when a bunch of white folks(and an lgbtpqxyz'er too) fawned over some AA. Especially one that make an "amazing impact". When she sits on the furniture that is true. If you have to see it I'll post the non print link. But be warned, there is video. I knew that she was a worthless, talentless waste of space even *before* I knew that she was a perv.Same with lady Elton John. Gay woman praises purported transvestite. Her Marxist hubby had a large (destructive) impact on the country - but this surly, talentless slug? Zilch, zip, nada. Ellen Digenerate has Jungle Fever. Yep, Ellen sure milked her coming out for all it was worth. Remember years ago, she had that sitcom? And they planted stories about how her character was going to come out as homosexual on the show? Then the stories morphed into how Ellen herself was homosexual in real life, and was going to come out as such in real life, not just the character on the show. She and her handlers sure orchestrated that “coming out” as to make herself into a spectacle. Sycophancy or toadying can't begin to describe this. The fawning and ... admiration? ... it's just mind boggling, inexplicable. Ellen is stupid and a little bit twisted, but to think there are people out there who watch this garbage and believe it... That's truly frightening! 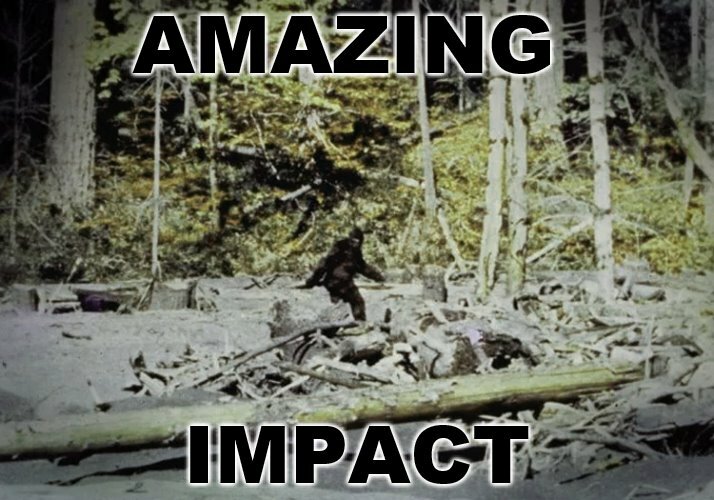 Especially one that make an "amazing impact". In one sense she did have an amazing impact: Over one half the country despised her! Reminds me of SNL comparing Barack to Sidney Poitier in the movie “To sir with love” and they were being serious, no comedy intended. They had some woman going so far as to actually sing the song “To sir with love” while showing a montage of Obama. If you want to puke your guts up for the next week, look it up on Youtube. You see boys and girls, all of us are just unruly students and B. Hussein is our teacher. A challenge I decline. LOL! “Ellen” fans are generally disturbed individuals. They’ll lap this up.